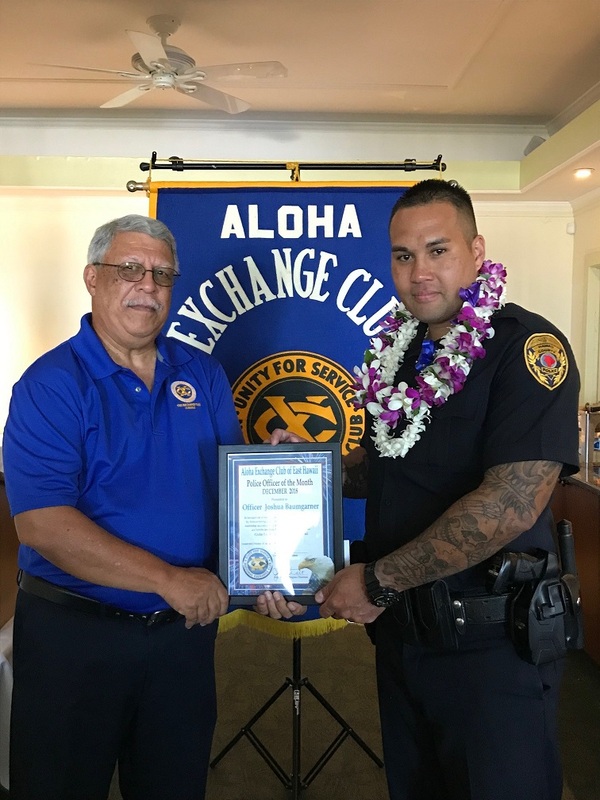 The Aloha Exchange Club of East Hawaiʻi recognized South Hilo Patrol Officer Murray Toledo on Thursday, Jan. 25, 2018, as the East Hawaiʻi “Officer of the Month” for December 2017. Officer Toledo, a 12-year veteran with the police department, was honored for his “outstanding application of his investigative and interrogation skills” while investigating a theft case that occurred on the Big Island but stemming from a burglary that took place on Maui. 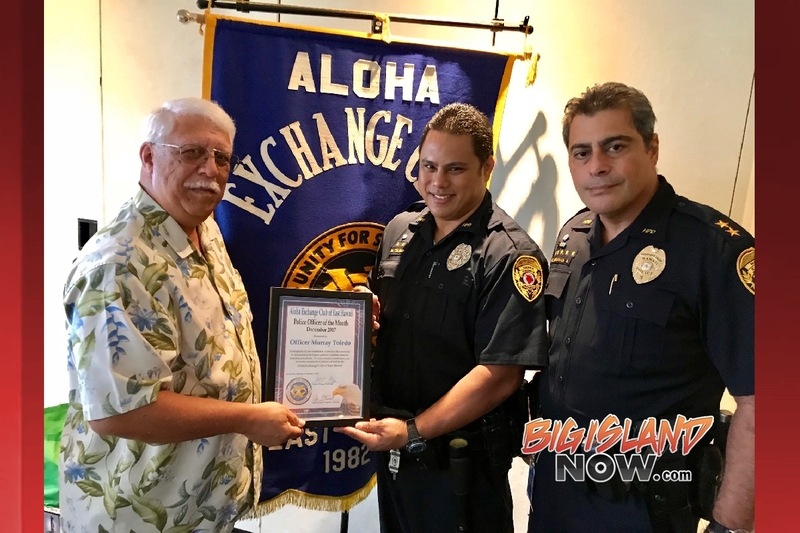 On Thursday, Oct. 5, 2017, Officer Toledo was assigned to a theft of services cases that occurred at a hotel on Banyan Drive in Hilo. 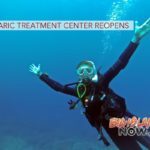 It was reported that the suspect, after a stay at the hotel, attempted to use a stolen check to use as payment for his hotel stay. Officer Toledo was able to confirm that the suspect was a forme r employee of the business from where the check was stolen. 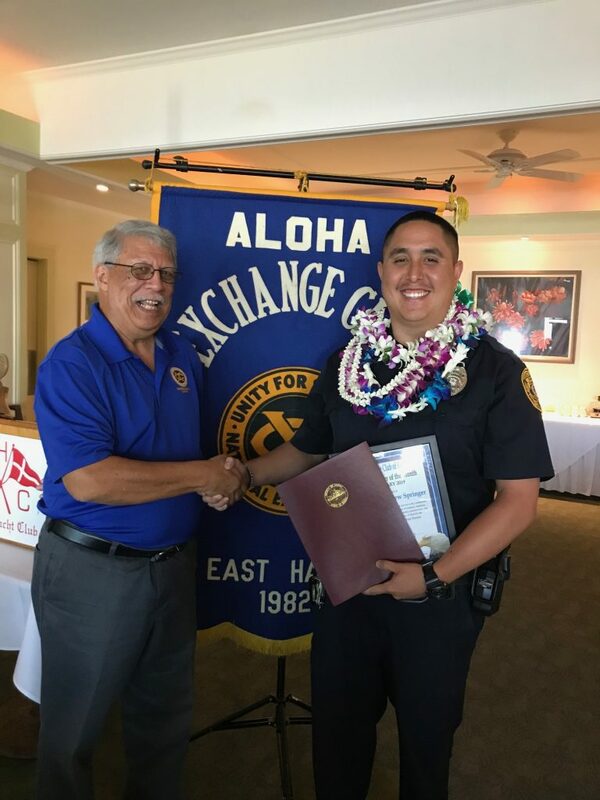 Officer Toledo also contacted the Maui Police Department and learned that the stolen check was taken during a burglary that occurred on Maui, and they were also investigating the series of stolen checks in their jurisdiction. Officer Toledo arrested the suspect and obtained a confession, and he was subsequently charged with theft, forgery, and unauthorized possession of personal/confidential information. 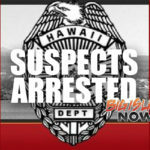 In addition, the suspect also confessed to being responsible for the burglary that occurred on Maui. As “Officer of the Month,” Officer Toledo is eligible for “Officer of the Year. 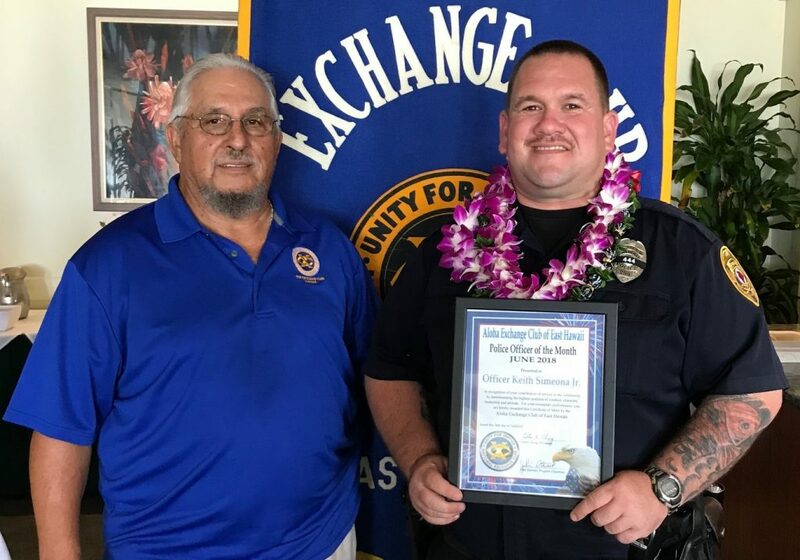 The East Hawai‘i “Officer of the Month” award is a project of the Aloha Exchange Club Hawai‘i.